The FMCG sector has been fascinated by both the urban and rural section in India due to the rising demand of the consumers. For this, creativity and innovation are the major attributes required in this business. Large-scale FMCG companies have entered or are planning to enter by delivering high-end products at an affordable price. Not only urban and rural population, even the young consumers are using packaged goods. As a result, Baba Ramdev, Sri Sri Ravi Shankar, Gurmeet Ram Rahim Singh, Jaggi Vasudev and many such leaders are tapping their foot in the Indian market for the natural and ayurveda-based products. It is claimed that ayurveda products are best for health and wellness as they have herbal compounds. Due to this, India’s spiritual leaders are launching their portfolio of consumer products as millions of Indians are already following these leaders and their teachings. Patanjali, since 2015 has launched flour, ghee, biscuits, noodles, spices, honey, toothpaste et al in the Indian market and have spent crores on advertisement in the same year. Similar to Patanjali, Sri Sri Ravi Shankar has also started to promote its products on the company’s Website, Twitter and Facebook pages. This includes creams, toothpaste, shampoos, bodycare lotions, scrubs, cleansing milk, soaps, ayurvedic energizers, ayurvedic medicines, juices, herbal tea, anti-diabetic tablets, balms and syrups and many more. The products are primarily sold through franchise stores called Divine Shops. The brand is planning to add more distributors in the coming years. Subsequently, Dera chief Gurmeet Ram Rahim Singh launched nearly 400 products under the brand name MSG for both the domestic as well as international markets. MSG products include premium and standard choices. The goods includes 14 varieties of pulses, 41 varieties of grocery items, 7 varieties of rice and khichri, three varieties of tea, five kinds of sugar, three types of salts, atta, desi ghee, spices, pickles, jams, honey, mineral water, noodles, a plethora of other items and a vast variety of namkeens and snacks. Singh encourages farmers to take up organic farming. “The MSG products are also a step in the direction of having a healthy food business with eco-friendly and sustainable development at its heart,” he said. The new trend is to tie-up with retail chains across India for growth. The Future Group- promoter Kishore Biyani said he is open to sell Sri Sri products at his stores. Biyani is already selling Patanjali products at the Big Bazaar outlets. Digital presence, expansion of physical distribution as well as building a robust consumer products company will help the brand in growth. 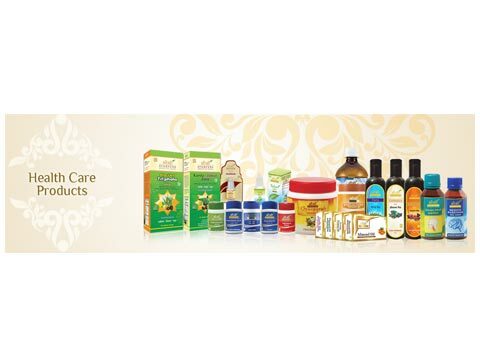 Sri Sri Ayurveda has begun to use mass media, point-of-sale advertising and online retailing. They are also available online at bigbasket.com, amazon.com and SSA’s own Website. At the same time, MSG products are sold online through teleshopping and mobile apps. Singh has also launched a Website 'MSG my God and your choice' on which details of products are available. But now with the government’s demonetisation, these leading firms of the FMCG sector have delayed new launches or any new expenditure on marketing for at least this quarter.